Do you realize that the only thing stopping you from really enjoying the great outdoors is stepping over that threshold? 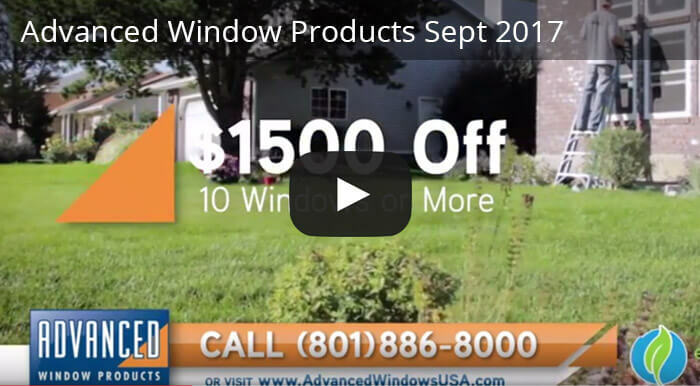 We are excited to announce that Advanced Window Products provides sliding glass doors to homes in Duchesne county! Just image the compliment to your home sliding glass doors will provide. While many homeowners opt for wooden french doors to their home, our sliding glass doors invite sunshine and breathtaking views into your home. They are maintenance free and the heavy frame offers an effortless glide to open and close. Gone are the days of sticky sliding mechanisms. Many sliding glass door companies opt for an aluminum frame. In our extreme cold and hot temperatures that metal expands and contracts throughout the changing seasons. Ultimately causing warping and disfiguration. No wonder why it becomes difficult to open and close your door. Our sturdy vinyl frames offer a durable, consistent ability to simply glide open. There is no sticky friction. Sliding glass doors are the perfect option opening up your home to the backyard. The large window surface allows ample natural light into your home, without creating magnified heat. We use the same high performance glass in our sliding glass doors that we use in our replacement windows. The triple silver coating is invisible to the eye and acts as a giant reflector to UV rays that create heat and fading. In addition, we infuse the chamber between the dual glass layers with argon, a natural element that refuses to budge temperature. To the touch, even in below freezing temperatures, without additional interior heat, your sliding glass door will feel 50 degrees or warmer to the touch, inside your home. Rather than pumping your home with energy to raise the thermometer from 0 to 70 degrees, you focus on 50 to 70 degrees, even in the coldest winter nights. Talk about saving cash on your energy consumption! Call 801-505-9622 today to schedule a free no obligation quote for your new sliding glass door. We promise that you’ll love what you see!